Department of Health Sciences of the University of Milano. Medical Doctor, specialized in Occupational Medicine and PhD in Occupational Health, Associate Professor of Occupational Health at the Department of Health Sciences of the University of Milano. 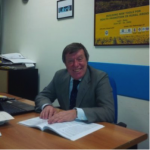 Founder and Coordinator of the International Centre for Rural Health of the San Paolo Hospital of Milano, WHO collaborating Centre on Occupational Health. 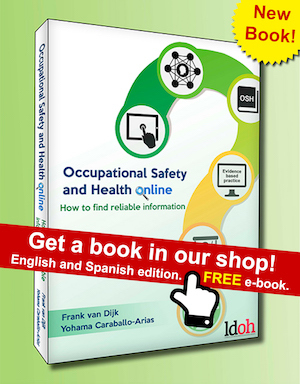 Participant and coordinator of several national and international collaborating projects on occupational health and Safety. Coordinator of the ILO working group responsible for the preparation of criteria for diagnosis and prevention of the occupational diseases listed in the new ILO list; component of the WHO core group for incorporating occupational health in the new ICD11; component of the EU group responsible for the preparation of the text “Information notices on occupational diseases: a guide to diagnosis” published in 2009 as official document of European Union. Component of the Working Group “Farmworkers and pesticides” of ANSES (Agence Nationale Française de Sécurité Sanitaire de l’Alimentation, de l’Environnement et du Travail). He is past president and secretary of the Scientific Committee on Rural Health of the International Commission of Occupational Health (ICOH), Vice-President of the International Association of Agricultural Medicine and Rural Health (IARM), member of the International Advisory Board of EURIPA and of the International Advisory Board of the Journal “Occupational Medicine”. Associate Editor of the International Journal of Agromedicine. Author of about 100 papers published in peer reviewed journals, chapters of textbooks and of more than 200 presentations at national and international Congresses.